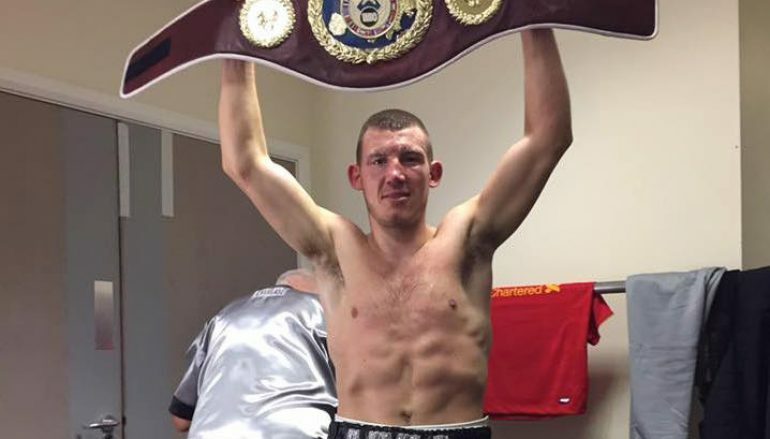 Clydach Vale’s Liam Williams (16-0-1, 11KO) took eight rounds to score his eighth consecutive knockout, hunting down tough Hungarian Gabor Gorbics (22-5, 13KO) and ending it with a brutal body shot. ‘The Machine’ added the vacant WBO European super-welterweight belt to his trophy cabinet in front of Cardiff’s packed Motorpoint Arena to headline the Frank Warren promoted show. 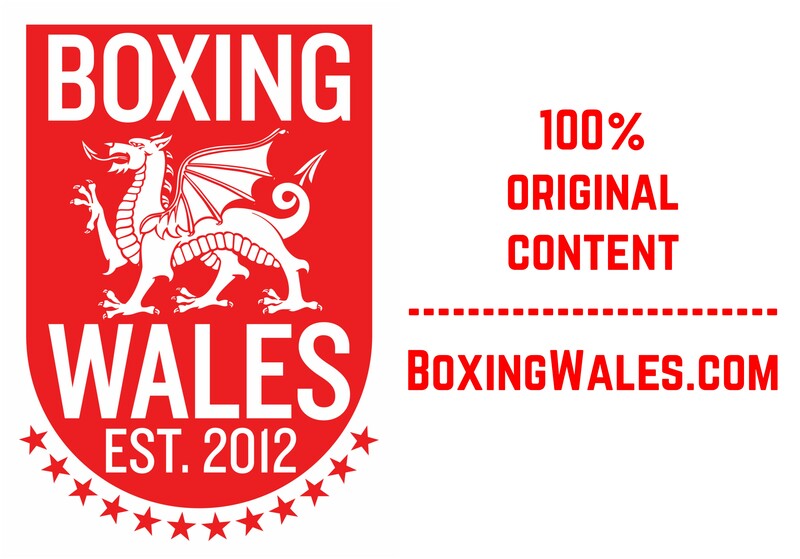 It extends Welsh boxing’s longest active unbeaten run to 17 fights and Williams’ impressive stoppage streak has now lasted 31 months, making him one of British boxing’s must-see fighters. From the start, Williams seized front foot vantage point, shadowing Gorbics around the ring. Occasionally forced to block short bursts of attacks, Williams stayed compact and aimed to find the range with straight shots, eventually getting through at the end of the opener. Williams is notably large for the 154lbs weight category and had a clear size advantage, making it count with constant hounding in the second round. Gorbics grimaced, though kept his composure amidst the pressure. The visitor would send out occasional reminders when Williams overreached, which was enough to keep him alert. By the fourth round, Gorbics had stopped sending out reminders and replaced them with distress flares, sucking it up and circling to find whatever space was available. It correlated with Williams’ switch of focus to the body to slow Gorbics’ movement. What resulted was more frequent exchanges, forcing Williams to pay attention to what was coming his way but also allowing him opportunities to land power shots – which he did. It left Gorbics with sore ribs at the end of the fifth round and he took extra time to sit down on his stool. Recognising it was taking its toll, Williams was rarely more than three foot from Gorbics in the sixth round. They proceeded from corner to corner, leading to one particularly flush accidental head clash and a roly-poly gymnastics move from the visitor shortly afterwards, much to the crowd’s amusement. The pattern wasn’t altered in the eighth round, though Williams’ headshots did decrease in frequency. The 24-year-old underwent career saving knuckle surgery in 2014, which has been a constant worry. It’s unclear if it was injured again. However, the Boxing Writers’ 2016 Young Boxer of the Year still has a left hand and a storming hook to the body, where the target is softer, ended matters. Williams trapped Gorbics in the neutral corner and he never looked like recovering, forcing referee Steve Gray to wave it off. Williams was originally supposed to defend his British title for the second time but challenger Ahmet Patterson pulled out at late notice. The unbeaten Londoner was injured in what he said was a random attack as he took part in a training run. Gorbics fought as recently as last week, losing every round to standout rising Russian Radzhab Butaev in America. He is well travelled, having fought in six different countries but it was his first visit to British soil and the maiden stoppage defeat in his 27 outings. 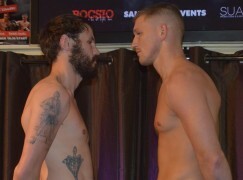 The WBO representative for the fight was Gorbics’ Hungarian countryman, Istvan Kovacs. Despite being a 1992 Olympic gold medallist and former WBO world champion, Kovacs went completely unnoticed by fans. Prior to the fight, Williams was ranked third in the WBO’s super-welterweight rankings. Mexican champion Saul ‘Canelo’ Alvarez is widely expected to vacate the belt when he returns from a hand injury. With only American matrix Demetrius Andrade and Puerto Rican legend Miguel Cotto higher in the ratings, Williams is in contention for a shot at the belt in the future. 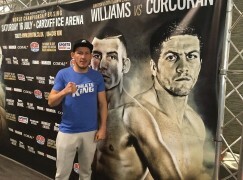 This week, Liverpool’s former belt-holder Liam Smith expressed an interest in facing Williams. However, the Welshman believes with his ranking, fan base and momentum, he holds more bargaining power, which is likely to be a stumbling block in negotiations between the pair, though they share the same promoter. In the co-main event, Manchester’s Terry ‘Turbo’ Flanagan (32-0, 13KO) stopped Puerto Rico’s Orlando Cruz (25-5-1, 13KO) in nine rounds to defend his WBO world lightweight title for the fourth time. The southpaw extended British boxing’s longest active unbeaten run to 32 fights straight and will move towards a mandatory challenge from Felix Verdejo in the new year. Earlier on, Birmingham’s middleweight Tommy ‘The Baggies Bomber’ Langford (18-0, 6KO) defended his Commonwealth strap and added the vacant British title with a Split Decision victory over Sheffield’s Sam Sheedy (17-2, KO).